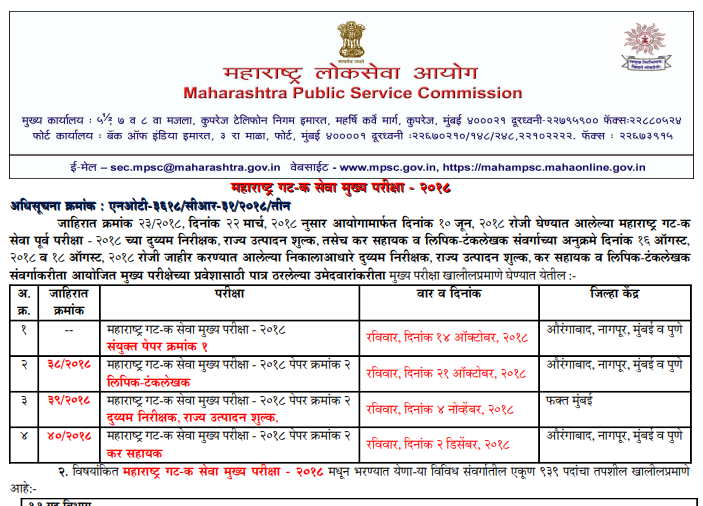 Maharashtra Public Service Commission is inviting applications from interested and eligible candidates for the posts of Tax Assistant, Sub Inspector in Excise Department and Clerk Typist. It was notified earlier that the online application submission process would begin from 28th August. Candidates need to apply online for the recruitment before 11:59 PM on 11th September. Notification for these 939 posts was issued earlier. To apply online against the advertisement, candidates need to visit mahampsc.mahaonline.gov.in first. On the home page, “New User Registration” link is provided on the left side. Candidates have to press that link (if new user). Those who have already registered need to enter their user name and password to log in. On the next page, candidates have to enter a few basic details to create a new account – User Name, E-mail Id, Mobile phone number, date of birth and password. After registration, a login ID and password will be generated. Candidates have to keep these credentials safe until the procedure ends. Later on, applicants will have to fill the online application form. All the details must be entered correctly. 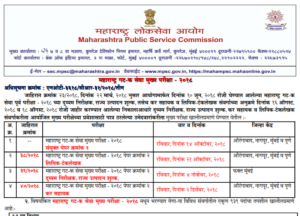 Examination Fee: Applicants belonging to General category need to pay Rs. 524 while those from reserved category have to pay Rs. 324 and Ex-Military Officers need to pay Rs. 24 as examination fee. The fee can be paid through net banking, debit card, credit card. Educational Qualifications: Applying candidate must possess a graduation degree from a statutory university or equivalent. Candidate should have completed the degree before the last date of application submission. Age Limit: Candidate should have attained the age of 18 years and should not exceed the upper age limit of 38 years. Minimum age limit is 19 years for the posts of Clerk Typist. For the final selection of suitable representatives, the administration would organise a written examination. Those who would qualify the test will be called for further proceedings. To Get Latest Recruitment Updates, Stay Tuned With ALL INDIA ROUNDUP.